Just like my Horizontal 2014 Mutual Theme Calendar, these calendars are so easy to use and are editable in Adobe Reader. 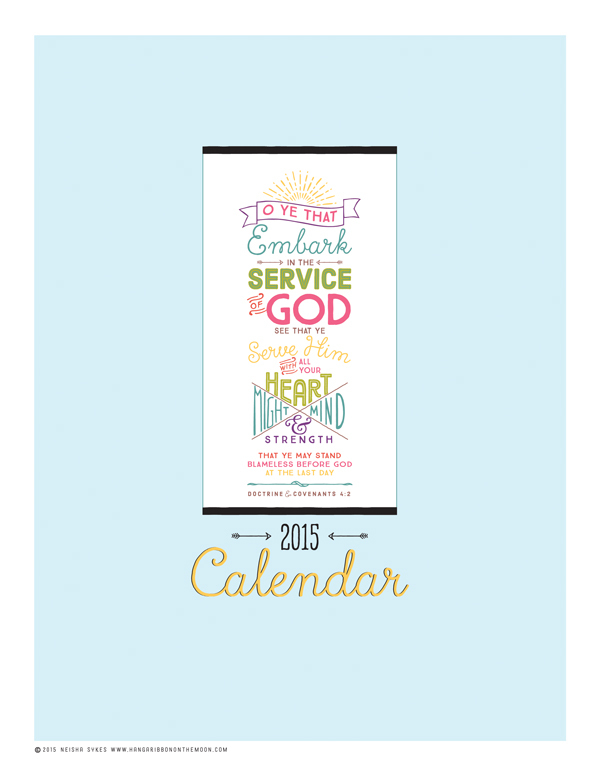 The cover features the full 2015 Mutual Theme and each month includes my “Embark in the Service of God” logo. [The calendars I have for you today are in a vertical, 8.5×11-inch format. 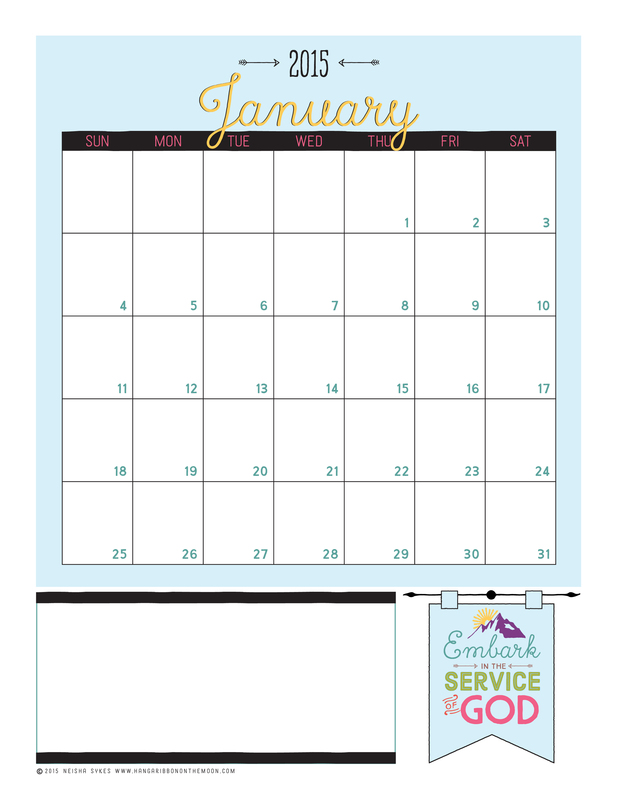 Find my 11×8.5-inch HORIZONTAL format 2015 Mutual Theme calendars here. You can also find my 2015 Mutual Theme Logos here.] 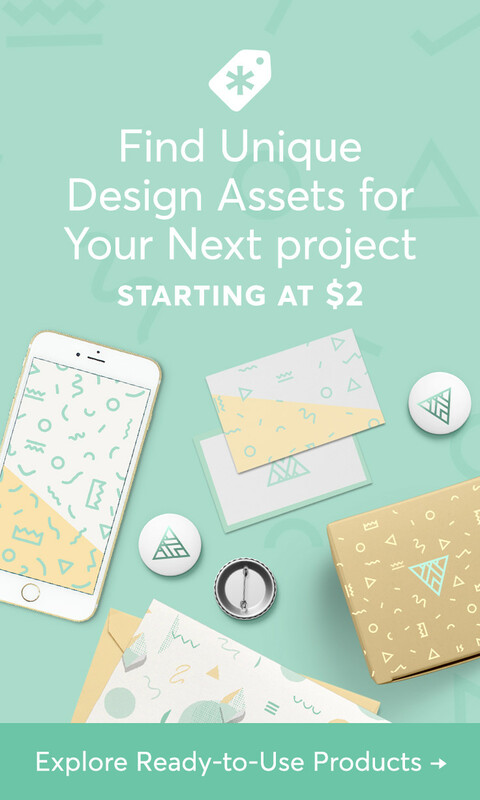 Don’t miss an upcoming post or project! Follow this blog via email (link in the right-hand column). 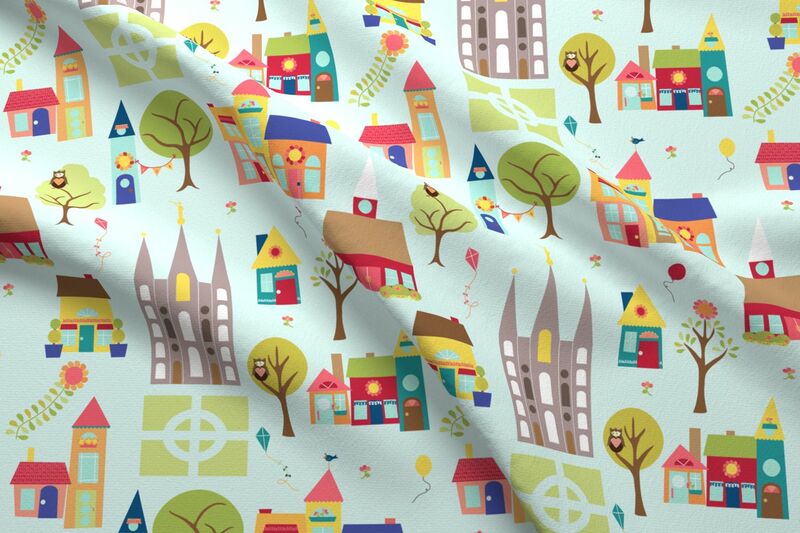 And, to save on printer ink and copying costs, I’ve included a black & white version in the download, too! Use these calendars to help your girls keep abreast of activities, birthdays and goals. Put a calendar on your YW bulletin board, hand them out to parents or include them in a Stake YW newsletter. Or, use them to keep your own family life organized! You can download my 2015 Mutual Theme Calendars (Vertical Format, Color and Black & White Versions) here. Please DO NOT SHARE my files in any way! Send your friends here to download their own copies. Thank you so very much for sharing your talents with us! The calendar is wonderful- thank you so much! This is such a wonderful service you have given! I love your calendars! So helpful–and beautiful. Thank you so much! Oh, and I love the black and white version! So great! Thank you! Glad you can use them! You’re welcome! Is there anyway to change the font or to move words to the right? Is there any way for you to send me a blank January 2016 month that matches this vertical calendar as we don’t always have our calendars done in December and this way they have something to go off of until they get the new year calendar. Thanks! I haven’t made a January 2016 calendar yet, sorry. Thanks so much! I love that you have vertical ones! I absolutely love your calendars and clip art! They make my job as secretary so much easier! Is there any way to get each month as a separate file so I can email it out each month? I have not been able to find a way to save each page individually. I used this calendar last year and just loved it! Thank you so much. As I’m entering in my info right now it appears the “zero” is missing on the “30th” in December. I’m also wondering if you could do lowercase options like last year possibly next time? I’m struggling to fit everything on some days. I also liked how you put the holidays in last year. Thanks again for taking time to make and share this! It’s a wonderful resource! The file was blank when I opened it. Disappointing…. I just have a quick question, last year the more info that was typed into a particular date the smaller the font would adjust. Its not doing it this year? Did I download it wrong or did you just change something? I went in to fix the file and all the settings for the text boxes were correct for having the type autosize. I tested the files myself and the fonts shrunk for me. I’m not sure why this is happening to you. One guess is that you might not be using the most recent version of Adobe Reader. Sorry one more thing…after I have entered in all my info and I save it as a pdf on my computer so I can email it. Wherever I have entered my info the lines to the box on the days are not there anymore? Not sure what to do about that one? I’m not sure why this is happening. It should not be doing that. Are you using the most recent version of Adobe Reader? Thank you so much for these awesome calendars. I saw that on 1/5/15, you had mentioned that there was an addition of each month as an individual pdf, I was wanting to know how to access those individual pdfs. I do not see them when the files are downloaded and unzipped Thank you. Hi April! It looks like I made a mistake and mixed up the links with the new and old files. They should be there now. Sorry for the inconvenience. Thanks so much for letting me know. Thanks so much. I was able to get all of the individual pdfs. They are great!! Just curious, do you know why or if these pdfs are able to be accessed through email on a smartphone…I have a few different pdf apps on my phone. Every time I try to see it on my phone, the calendar is blank and does not have any writing on it. On my home computer, I can see everything I entered on each month. Thanks for sharing your talents! I’ve googled and found out that for some reason, editable PDFs don’t work so well on phones. Sorry. Beautiful calendars. Thank you for sharing your talents with us! Thank you! These are awesome and saved me a lot of time! THANK YOU SO MUCH YOU SAVED ME BUM!!! I have been having the toughest time finding an editable calendar! Can you please make a 2016 one ASAP so i can start my YW on calendars. Thanks a bunch! You’re welcome!! I will start on my 2016 calendars after I finish my 2016 Personal Progress calendars. Do you have the 2016 calendar ready yet?